Quality of life can be altered through one tragic, unexpected event when a traumatic brain injury (TBI) occurs. Approximately one and one-half million people experience a TBI each year in the United States, and half a million die from it every year. In total, over five million people in the United States live with the debilitating effects of TBI. If a loved one has experienced TBI as a result of human negligence or aggression, an experienced personal injury attorney can help you collect costs associated with the injury. What are Causes of TBI? Viruses or bacteria post acquired post-surgery or otherwise. What Symptoms are Associated with TBI? 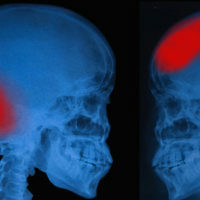 Research connecting TBI with athletics is so overwhelming that Florida has created laws specific to youth athletic programs in order to preclude concussions that have the potential to result in TBI symptoms. The Florida High School Athletic Association is required to have guidelines for identifying potential concussions, and must remove athletes from competition in some circumstances, pending clearance from a medical provider. If your family is dealing with the effects of TBI, your emotions, finances, and mental facilities are likely stretched to capacity. Let our compassionate and knowledgeable team at the Law Offices of Robert W. Elton intervene on your behalf. Our investigative and negotiation crews will provide top-notch service in order to secure the best settlement possible. Contact us today in Daytona and Ormond Beach for a free, confidential consultation.